Best places to visit in the UK - 55 Amazing Places You Must Visit! Best places to visit in the UK! The United Kingdom has many beautiful places and attractions to offer, so you will need to make a point of learning about some of them. The more time you spend looking over these options, the easier it will be to choose the right place to visit for your next vacation. Whether it is the rolling green hills of Ireland or the beautiful towns or castles of England, there are many great places for you to explore in this part of the world. Millions of tourists come to the UK each year because of the great food, historic sites, friendly people, and much more. No doubt it’s one of the most visited countries in the world. England has tons of attractions to visit and sights to see, and you will need to spend some time looking over the very best places in this area when planning your trip. Bristol is a wonderful place to visit, especially in the summer. This city has a lot of fun and interesting places to visit, including the Bristol Zoo, where you can see a variety of incredible animals. There is also the beautiful Kennet and Avon Canal, which offers boating, rafting and cycling opportunities. The Clifton Suspension Bridge is another thing you don’t want to miss while you are here. The Lake District is one of England’s most beautiful natural parks. Located in northwest England, this is definitely one of the most beautiful places in the entire UK. There is a train that you can take to the middle of the National Park into the Eskdale valley. This is one of the better places to go for those who are looking for some fun and adventure. The city of Bath is a popular place for tourists to go in England, and it has some of the best cafes and restaurants around. The Thermae Bath Spa is a wonderful place to relax and take it easy when you have been walking around for days. The city centre offers an urban beauty of its own, and it’s the ideal place for a sunset stroll. If you find yourself in England, you don’t want to miss this city. 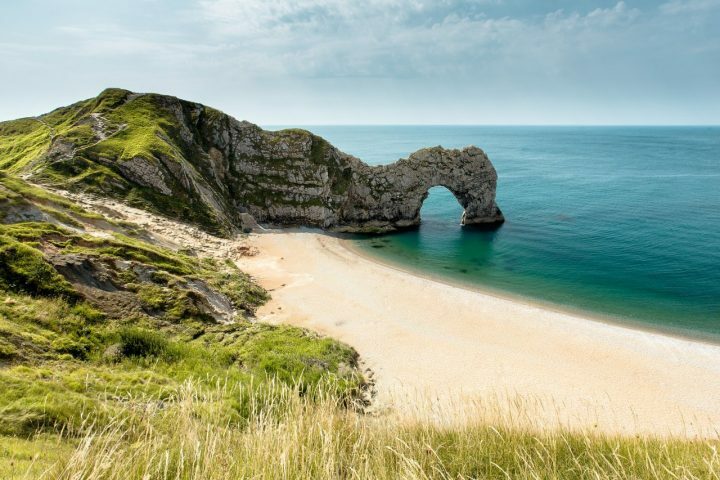 South Dorset offers some of the very best landscapes in England, and it’s a great place to go when you are seeking some adventure. The Jurassic Coast has some breathtaking scenery, starting in East Devon and going all the way to the Old Harry Rocks. You should also try stopping by Corfe Castle, which is located on top of a hill and is a truly amazing sight to behold. If you are looking for some great eateries for delicious food that you won’t soon forget, Brighton is definitely the place to go. This city is known for its many top-notch restaurants as well as old-fashioned cobblestone streets. There is a quaint charm to this place that attracts many people from all over the world, and it has a historic beauty that makes for an excellent day trip. The Cotswolds is made up of charming little stone cottages, winding roads and long flowing streams. This is one of the best places in England to take a day trip to, and you will be glad you did. There is a pub called the Old Fleece in the area that is known for its incredible food. There are a number of interesting historic sites, towns and villages to visit. London is, of course, the first place to go when you visit England, and there are so many things to see and do you won’t even believe it. Most people are overwhelmed by just how big and busy this city is. If you want to get a great look at the city, go take a ride on the London Eye. There are some great places to eat, and the walking tours are absolutely fascinating. Liverpool is closely associated with The Beatles, but it has a ton to offer for those who visit. This city is home to the largest cathedral in England, and it is quite impressive when you see it up close. There are plenty of great hotels to stay at in this area if you are interested in more than a day trip. Newcastle is certainly one of the friendliest places in England, and there is tons of history to explore. The World War II shelter is just one of the many places you will want to visit in this area. The Baltic Centre for Contemporary Art has some amazing pieces on display that you don’t want to miss. There is also Millennium Bridge, which is impressive all by itself. Cornwall is a popular destination for holiday getaways, and it’s very clear why when you visit some of the beaches in this area. There are lots of perfect spots for those who love to hike, and adventure is around every corner. The many pubs and restaurants in this area will provide you with delicious food and drink in between lazy afternoons on the sandy beaches. Cambridge is known for its schools, but there is so much more to it that you will want to explore. There are some truly beautiful gardens and churches with amazing architecture. You will find that YHA Cambridge has an on-site bar and restaurant with some of the best food you will ever taste. If you are planning to visit England, you will definitely want to try making it here. Whitstable in Kent has a charm and feel that is all its own, and it attracts many tourists. This fishing town has some of the best seafood in the UK, so you will definitely want to make a point of dining at one of their many incredible restaurants. The Crab & Winkle is a great place to get some fish and chips, though there are many delicious items on the menu to choose from. The New Forest offers all the beautiful rural scenery you can handle, and it is made up of numerous small towns and villages. Lots of people who come to England on vacation make their way through these places because of the unique and charming beauty they have to offer. If you are coming here in the summer, you should try camping out in a tent. Devon is a beautiful county in southwest England. Dartmoor’s moorland with Bronze Age relics is something you will definitely want to see, along with the amazing gothic cathedral of Exeter. Some of the most beautiful scenery in the UK can be found right here, and it is certainly worth exploring. The Devil’s Cauldron is the perfect place to walk along to enjoy this incredible scenery. Margate can be found on the East Kent coast, and it has a very artsy vibe that you will be sure to love. There are also a number of boutique hotels and art galleries that you will want to visit before heading back home. You will find a lot of great restaurants to eat at too. The food in this area is very tasty and affordable, making it perfect for those who are on a budget. Alnwick offers some of the most beautiful countryside that England has to offer, and it’s a truly one-of-a-kind place. There are tons of used bookshops here, and you will definitely want to explore some of them if you love reading. There is a large stretch of beach here that you can wander up and down when it’s warm and sunny outside. Manchester is a very versatile city with lots to offer for everyone, which is why so many families come here on vacation. The Federal Café is the place to go for brunch, but there are many incredible eateries to explore while you are here. There is a lot of impressive and beautiful street art to see in this city, as well as two different universities. This city has a lot of energy, and you can easily spend a few days here before running out of things to do. Sheffield has a number of excellent places to shop for everything from jewellery to clothes. If you love art and history, you will find that there are many museums in this area that you can visit. The ruins of Peveril Castle are quite impressive to say the least, and there are lots of other historic sites to explore. Those who love hiking will also want to make a point of coming here while on vacation in England. York is located in northern England and has lots of beautiful architecture, including gothic cathedrals with big stained glass windows. While it may not be a huge city, it is definitely worth taking a trip to because of its quaint charm. There is a lot of history here to explore, and you’ll quickly learn why so many people come here to visit each year from all over. Southwold is a gorgeous seaside city with lots of sandy beaches that you will be sure to enjoy when you visit. There is a small market where you can get fresh fruit, flowers and much more. This is definitely one of the more charming towns in England, and it’s the perfect place to take a day trip to. There is also a distillery here where you can make your own gin. Oxford is home to a prestigious university, but there are many other things about this city that make it a wonderful place to visit while you are on vacation. Queen’s Lane Coffee House is actually one of the oldest places to get coffee in England, and there are some truly beautiful buildings with impressive architecture here. The beautiful architecture and fascinating museums that Nottingham has to offer make it a really special place, to say the least. When you are looking for a great place to visit when going to England, this is it. Those who are vegan or vegetarian will find lots of delicious food options here. There is also a great nightlife for those who want to party it up when the sun goes down. Stonehenge, the most famous megalithic monument in the world, is a prehistoric site located in Wiltshire, England. The most famous part of this site is a circle made up of several stones. The entire monument and its surroundings, along with the Avebury Estate, have been listed as World Heritage site by UNESCO since 1986. Scotland is an incredible place to visit with some of the most breathtaking scenery in the world. Scotland, a land of unspoilt beauty, is an ideal destination for adventurers, lovers of history and double-distilled whiskeys. Here are a few reasons why you should visit this country as well! The Isle of Skye is filled with the rugged landscape and gorgeous islands inside the Inner Hebrides archipelago. If you are looking for a place that has some of the best raw and natural beauty in the world, this place is worth visiting. This remote area contains Portree, which is filled with lots of pubs to get food and drink, as well as boutiques where you can do some shopping. Glen Coe has some of the most majestic scenery in Scotland, and there are plenty of different coach tours that you can take to see this beautiful area. The timberbush tours will take you across the rugged landscape for a real adventure that you won’t forget. The Scottish Highlands are one of the most striking places in the UK. The crystal clear waters and hills of Loch Lomond are well-known across the UK, and many people come to visit this area from all over the world each year. Here you will find the Drovers Inn, which is one of the oldest pubs in the country. Trossachs National Park has numerous footpaths and cycling trails, so you can get some exercise while enjoying the breathtaking sights. The long stretches of sandy beaches and incredible restaurants are just a couple of the reasons why Isle of Mull is such a popular place for tourists. Depending on what time of year you come here, you could enjoy some relaxing solitude. Mull is the second largest island of the Inner Hebrides, and it can be found off the west coast of Scotland. Bealach na Ba is a long winding road that carves through the mountains of the Applecross peninsula, which can be found in Wester Ross in the Scottish Highlands. Built back in 1822, this mountain pass provides those who drive it with some of the best scenery they will ever experience in their lives. If you enjoy cycling, you will definitely want to bring your bike here. If you are fascinated by history, you will find Orkney to be the perfect place to visit in Scotland. There are numerous Stone Age historic sites as well as The Ness of Brodgar excavation. This archipelago off the northeastern coast of the country is made up of towering sandstone cliffs and seal colonies for a unique beauty that is all its own. Edinburgh is the capital of Scotland, and it has miles of rolling green hills and beautiful scenery for you to explore. The medieval Old Town and Georgian New Town are also scenic places with huge gardens. There is also an old castle on a hilltop that you can actually go inside and tour. There are numerous monuments and memorials on Calton Hill that are absolutely fascinating, especially for history buffs. Edinburgh, Scotland, Best places to visit in the UK by János Korom Dr.
Rannoch Moor’s untamed wilderness is truly one-of-a-kind, and it’s probably the most scenic walk you will ever take in your life. If you really want to see all of the beautiful landscape of this area, you should take the West Highland Railway, which spans 23 miles up to 1,300 ft elevation. This is certainly one of the best places you can go in Scotland when it comes to sheer scenery. The town of Ullapool is rather small with a population of about 1,500, but it is a popular tourist destination due to its rugged and natural beauty. There are lots of hiking trails that you can go on throughout the north-west Highlands, and it’s an experience you will never forget. This town is the perfect base for those who want to explore the finest countryside Scotland has to offer. Dunnottar Castle is a ruined medieval fortress on a rocky headland in the northeastern corner of Scotland. There are tours of this castle that you can take to learn more about it, and many people have even got married here. This castle offers some of the best views in all of Scotland, and it’s perfect for those who love history. There are many different reasons to come to Wales for your next trip, including the unbelievable scenery. The green mountains, flowing rivers and old castles that are scattered across this country make it a wonderful place to go. Cardiff is one of the most popular tourist destinations in the entire UK, but there are many other places to explore. Snowdonia is located in northwest Wales among the mountains and glacial land formations that Snowdonia National Park is known for. Here you will find the tallest mountain in Wales along with the Mountain Railway, which goes all the way up to the summit of the mountain. There are very few other places in the UK with scenery like this place. You will quickly find that Brecon Beacons National Park is one of the most beautiful and striking areas of this country. Many people come here from all over each year to hike through the Black Mountains. The gorgeous red sandstone mountains will stick in your memory for many years to come. There are a number of amazing waterfalls, caves, and much more here for you to explore. The Devil’s Bridge and the Hafod Estate can be found 12 miles from Aberystwyth, and it is an incredible sight, to say the least. The Hafod Estate is made up of 200 acres of woodlands and gardens that you will definitely want to explore. There are a number of clearly marked trails that you can hike along, and the giant waterfalls only add to the remarkable beauty of this place. The Ffestiniog Railway goes through Snowdonia National Park, stretching a total of 14 miles. If you want to see all of the beauty and majesty of this country’s incredible landscape, it is highly recommended that you take a trip on this railway. There are over ten different heritage railway lines that go through numerous landmarks, providing you with the perfect scenic experience. Caernarfon Castle was originally built back in the 13th century and still stands today. Located near the River Seiont, this castle is an amazing sight and a must-see attraction for tourists. There are tours of this castle year round, and it is truly a beautiful historic site. This castle has a total of 13 towers and two gates, and it is really very impressive. Conwy has something for everyone, including medieval architecture and lots of great places to shop at. Established in the 13th century, this small town has a lot of fascinating history behind it. This place is home to the smallest town in Great Britain, and there are a lot of fascinating historical sites that you can visit. Pembrokeshire Coast is one of the most beautiful places in all of Wales, and its miles of sandy coastline attract a lot of tourists every year. The Pembrokeshire Coast National Trail will take you through a number of charming little villages while affording you the opportunity to see many beautiful landscapes. Anyone who wants some fun and adventure will definitely need to look into visiting this place. Portmeirion is a wonderful hotel resort, and it will make for the perfect place for you to stay should you choose to visit the coast of Snowdonia National Park. Located in Gwynedd, North Wales, this entire area is filled with beautiful scenery, old castles, impressive fountains, lush gardens and much more. If you are going to visit Wales, you must come here. Wales has a lot of beautiful gardens that you can visit, but this one is among the very best. Bodnant Garden is definitely one of the most impressive gardens in all of Great Britain, and it even overlooks the River Conwy. The best months to visit this garden are early in June and late May. You will find a lot of incredible flora in this amazing garden. Summer at Bodnant, Wales, Best places to visit in the UK by paul_p! The Pontcysllte Aqueduct took over a decade to design and build, and it’s an impressive sight. There is an 18-arched bridge built entirely out of stone and cast iron 100 feet above the river. This is among the longest navigable aqueducts in all of Great Britain. There are actually horse-drawn canal boats available to tourists, and they are well worth the expense. The Isle of Anglesey consists of a number of small fishing villages across 10 miles of coastline. If you want to get an authentic Wales experience when you come to this country, this area has a lot to offer. The little Salt Island will provide you with some very memorable views of the beautiful landscape as well as incredible photo opportunities. Llandudno is the biggest seaside resort in the entire country, attracting millions of people each year. 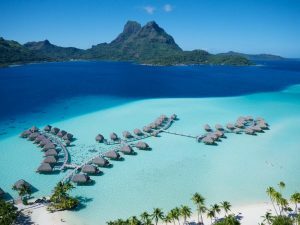 If you want a peaceful and relaxing vacation, you will certainly want to look into this particular destination. The Great Orme offers the best views of this town. There is also the heritage tramway, which you do not want to miss while you are here. Northern Ireland is known for its miles of gorgeous green countryside, well-preserved castles, towering cliffs, and much more. If you want to go on a really memorable vacation, this country is one of the very best choices you can make. Many people come from all over to visit Northern Ireland because of its fascinating culture and history as well as the beautiful landscape. There are a lot of different tourist attractions in Northern Ireland, but the Giant’s Causeway is definitely one of the best. Here you will find over 40,000 polygonal basalt rock columns, which are the result of an old volcano that existed many years ago. This makes for the perfect day trip, and it’s a great option for those who are looking for a real adventure. The Carrick-a-Rede Bridge is about 10 miles east of the Giant’s Causeway. Visitors can use the hanging bridge, which swings above the sea shores at an altitude of nearly 30 meters, to the nearby rocks and watch the rugged coastline of the Northern Irish coast. From the visitor centre, there is about a kilometre-long educational trail along the edge of the sea cliffs. The centennial anniversary of Titanic’s tragedy became the cause for establishing the Belfast Titanic Museum, dedicated to the fate of this ship. You will find it in the Northern Irish capital of Belfast, in the same place where Titanic was built a hundred years ago. In addition to faithful copies of the ship’s interior, a projection is also an integral part, often from James Cameron’s legendary Titanic film. Dunluce Castle in the Northern Ireland dates back to the 16th century. It sits on the northern coast of the Ireland, high above the cave, west of Bushmills. Today, you will see the very well-preserved walls of the original castle, though without a roof. The entire northern coast is linked by a tourist-marked path called “Giant’s Causeway”, which runs from Carrick-a-Rede Bridge through the Giant’s Causeway to Dunluce Castle. If you want to know how to make true three times distilled Irish whiskey, you can visit, for example, the famous Old Bushmills Distillery, still partly in the original historic building. It used to be a city of fear where bombs, weapons, blood, and death belonged to everyday life. The Civil War made Belfast, the capital of Northern Ireland, a place to be better avoided. But times change. In the center of the city you will find traditional Irish pubs with wooden benches where you can hear the past and the scent of the Guinness black beer or Irish whiskey. Mussenden Temple is a small circular chapel located on the cliffs near Castlerock, County Londonderry. High above the Atlantic Ocean, on the north-west coast of Northern Ireland. It was built (originally as a library) in 1785 and is part of the estate of Fridrich August Hervey, the fourth Earl of Bristol and the Bishop of Derry. The Carrickfergus Castle in Northern Ireland is the oldest stone castle on the island, along with Trim Castle in Meath County. Carrickfergus was founded in 1177 as part of the Norman invasion campaign in Ireland. The founder was Jan deCourcy, who in 1177 with his troops from Dublin went to the province of Ulster in order to occupy new territories. It sits on a low rocky outcrop in the Gulf, now known as Belfast Lough. The amazing alley of Dark Hedges Lane at the Bregagh Road in Northern Ireland. The alley is filled with more than 30 tall 200-year-old trees. The site has a different look in every season. Marble Arch Caves are one of the best natural attractions in Northern Ireland. Visit the Marble Arch Caves, where you will experience the fascinating natural underworld of rivers, waterfalls and winding corridors.